WAP's mission is to reduce energy costs for low-income families by improving the energy efficiency of their homes while ensuring their health and safety. The connection between health and housing seems clear: we spend most of our time inside our homes, and our surroundings have a great impact on our well-being. What may be less obvious is the connection between health and the home’s energy efficiency. Preventable medical bills, rising energy costs, and wages lost due to illness cost Americans hundreds of millions of dollars a year. Nearly six million households have moderate to severe physical housing problems, placing them at increased risk for illnesses and injuries. On top of that, low-income households are disproportionately affected by high energy bills; these households spend 14% of their income on energy costs, compared with 3.5% for all other households. The lowest of low-income households spend far more than that. The Weatherization Plus Health initiative, implemented by the National Association for State Community Services Programs (NASCSP) on behalf of DOE, seeks to establish a link between the low-income Weatherization Assistance Program (WAP) and healthy-homes programs nationwide, ensuring that homes served by these programs are safer, healthier, and more energy efficient by bridging the gap between these complementary services. I work for NASCSP as the project coordinator for energy services, which supports both WAP and Weatherization Plus Health, assisting in this project. Another leader is the city of Baltimore, Maryland, which must turn away some weatherization applicants because its housing stock is too degraded. To combat this problem, the city launched several projects to partner with health organizations, create a coordination team, facilitate roof replacements, and digitize files to merge applications and ensure that they are reviewed quickly, helping to coordinate resources and services. WAP already considers health and safety when retrofitting a home; it is a cornerstone of the program and is incorporated into the mission statement cited above. The program’s comprehensive whole-house approach recognizes that a house consists of interdependent parts and that any modification of these parts should take into account the interaction between the occupants’ behavior, the building envelope, and the mechanical systems. Modifications to one part of a house can lead to unforeseen consequences in another. Health and safety was not a main focus of WAP until the early 1990s, when the use of blower doors and advanced air-sealing techniques became common. As WAP technicians developed their expertise in air sealing, the potential impact of these procedures on indoor air quality (IAQ) became apparent, spurring more emphasis on health and safety issues. Significant air sealing can affect IAQ through moisture, by-products of combustion, air pressure and backdrafting, and airborne chemicals and pollutants. Poorly performed weatherization can exacerbate existing problems or even create new ones. Conversely, properly performed weatherization can solve some problems and create a healthier indoor environment by conducting combustion appliance zone (CAZ) testing and ensuring a proper draft. Using DOE and other WAP funds, weatherization technicians can usually address health and safety issues related to heating systems, work lead safe, solve some moisture problems, correct minor electrical and plumbing problems, add or repair ventilation, and provide educational material to residents. In fact, WAP has been a leader in instituting the widespread use of these techniques and standardizing processes for low-income homes nationwide. 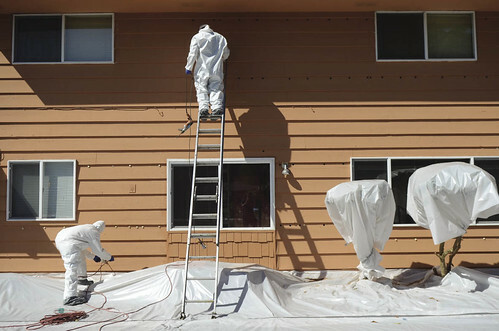 Although this approach has led to the safe weatherization of millions of homes over the 30-year history of the program, the focus on energy efficiency restricts the use of funds to address more extensive, comprehensive remediation and mitigation projects, including those for asbestos, lead, radon, or structural deficiencies. The result is that projects of this kind are often deferred. This is not likely to change any time soon and it is not likely that its mission will be broadened to include major health and safety projects (see “Evaluating DOE’s Weatherization Assistance Program,” HE, July/Aug ’10, p. 22). Energy savings, and energy savings per dollar invested, will remain the major focus of all the metrics analyzed in the current national WAP evaluation. Health and safety measures cost money but typically provide no energy savings. In order to qualify for WAP funding, health and safety expenditures must meet a stringent criterion—namely, that it is necessary to eliminate the hazard in question before, or as a result of, the installation of weatherization materials. This restriction is reasonable; funds are limited and WAP’s primary mission is to promote energy conservation. What does a WAP and healthy-homes collaboration look like? The following case study will give you a good idea of how it works. Ms. Jones applied for energy assistance through the Opportunity Council (OC), a private, nonprofit community action agency serving homeless and low-income families and individuals in Island, San Juan, and Whatcom counties in northwest Washington State. The Opportunity Council offers services that range from addressing immediate and crisis-oriented needs (food, emergency shelter, eviction prevention) to long-term programs that promote self-sufficiency in the community (early childhood education, home weatherization). See “Restoring Indoor Health, One House at a Time,” HE, Jan/Feb ’04, p. 24. During the eligibility appointment, staff asked whether anyone in the household had asthma, allergies, or other respiratory problems. Ms. Jones responded that both she and her daughter had been diagnosed with asthma. After staff explained the OC’s Weatherization Plus Health program to her, Ms. Jones expressed an interest both in the weatherization program, for help lowering her energy bills, and in a Healthy Home visit, to see if anything could be done that might help with her family’s asthma. She completed the application for the Healthy Home visit, which would schedule her with the OC’s in-home educator trained in conservation education and healthy-home environmental assessment. The initial education and assessment visit identified several opportunities to improve the indoor environment in Ms. Jones’s house. Later, the OC educator noted high humidity, possible mold staining the bathroom, a leaky roof, incomplete ground cover, old carpet in the bedrooms and living room, and evidence of mice and pesticides in the kitchen and pantry areas. The OC educator worked with the OC’s weatherization/home repair project coordinator and Ms. Jones to complete the improvements. The OC used home repair funding to repair the roof and weatherization funding to upgrade the ventilation in the bathroom. Weatherization funding was used to complete the ground cover, improve the insulation over the bedrooms, and conduct combustion safety testing of the old and inefficient heating system. The system failed the test and was upgraded using Sustainable Energy Resources for Consumers (SERC) funding. (For more on the SERC program, see “DOE’s WAP: Two New Programs Push the Envelope,” HE Sept/Oct ’11, p. 28.) The crew completed pest exclusion (by plugging holes with copper wool embedded in foam) at the same time as they air sealed the crawl space. The OC’s privately funded Healthy Homes program changed out the old carpet in two rooms to hard-surfaced, easily cleanable flooring and also provided a HEPA vacuum for the new area rugs. The Healthy Homes funding paid for a green cleaning kit that uses nontoxic cleaning products, walk-off mats at the entryways to minimize dust coming into the house, and dust mite-resistant mattress and pillow covers. The educator and Ms. Jones worked together—the educator gave Ms. Jones a digital humidity gauge to monitor the humidity levels in the house, and she learned the benefit of opening the windows when the indoor humidity rises above 60% in the winter. She also learned the importance of exhausting moisture out of the house and agreed to use her bathroom fan for at least 40 minutes after every shower. This partnership of funding sources and programs worked. Ms. Jones anticipates lower energy bills, and she and her daughter feel good about the improvements made to their home. From what we know, the work has also reduced conditions known to aggravate asthma symptoms. WAP providers may be wary of healthy-homes programs, especially since so many health and safety components are taken into account in the course of regular weatherization services. These include, but are not limited to, combustion appliance safety and CO abatement, replacement of unvented space heaters with vented ones, lead-safe work practices, moisture control measures, building tightness assessments, and installation of exhaust fans and added ventilation when necessary. However, with effective partnerships and smart strategizing, WAP and healthy-homes practitioners can work together to achieve the dual goals of health and energy efficiency in the most cost-effective and efficient way possible. The healthy-homes movement is a comprehensive approach to combating disease and injury in the home. The federal agencies involved include the Centers for Disease Control and Prevention, the U.S. Department of Housing and Urban Development, EPA, and now DOE. The Coalition to End Childhood Lead Poisoning, through its Green & Healthy Homes Initiative™, has initiated community-based, healthy housing intervention programs to test and evaluate combining energy efficiency and healthy homes. The National Center on Healthy Housing, through its National Healthy Homes Training Center, provides evidence-based training and technical assistance, as well as evaluation and hands-on guidance in this field. Scientific evidence links substandard housing to poor health—a finding that has helped to drive the creation of these projects (see “Integrating Energy Efficiency and Healthy Homes,” HE July/Aug ’11, p. 38). Keep It Contaminant-Free. Many contaminants pose health threats. The most common of these contaminants are listed below. Lead and lead-based paint can cause learning difficulties and neurological problems. While WAP adheres to the EPA Renovation, Repair and Painting (RRP) rule and follows strict lead-safe weatherization work practices, it has little money to spend on lead abatement. Healthy-homes projects can often perform more-extensive remediation measures, such as replacing windows that have lead-painted frames. Environmental tobacco smoke can cause lung cancer, heart problems, and sudden infant death syndrome. Healthy-homes programs often educate clients on ways to stop smoking. Radon can cause lung cancer. In homes where radon may be present, precautions should be taken, based on the EPA Healthy Indoor Environment Protocols for Home Energy Upgrades, to reduce the health hazards posed by the presence of radon. WAP crews install ground vapor barriers tight to the foundation perimeter where site conditions permit, and are allowed to test for radon in locations where it is likely to be present. While WAP doesn’t usually allow weatherization professionals to perform remediation, the latest DOE guidelines allow remediation where weatherization work is known to have worsened radon levels and when those levels are above the EPA action level of 4 picocuries per liter (4 pCi/l). The remediation work in those cases would probably involve venting the radon away from the house. Asbestos can cause cancer, specifically mesothelioma, a rare cancer that occurs in the thin layer of tissue that covers the viscera. Energy upgrades can disturb asbestos. Updated DOE WAP health and safety procedures address work on homes with asbestos siding, asbestos pipe insulation, and suspected vermiculite or asbestos in attic insulation. Partnerships with healthy-homes programs can help to remediate situations that may be beyond WAP’s capability to address. Volatile organic compounds (VOCs) can cause asthma, allergies, and headaches. To control VOCs, technicians must control the source. This can be done by using no- or low-VOC products, sealing containers of VOC products and storing them away from air intakes, removing unwanted VOC products, ventilating the home properly, and ensuring adequate air sealing between the garage and the home. Carbon monoxide can cause headaches, fatigue, and even death. Unvented space heaters should be removed and combustion appliances should be properly tested for spillage, draft, and CO.
Keep It Clean. Clean homes help reduce pest infestations and exposure to contaminants. Strategies for keeping homes clean include installing hard-surface flooring, which is easy to clean, and educating the client on proper and effective cleaning methods and products. Keep It Dry. Moisture on household surfaces can lead to mold growth, and mold in a home can cause many health problems, such as upper respiratory tract symptoms, including coughing, wheezing, asthma, and hypersensitivity pneumonitis. Sources of moisture are poorly managed rainwater or groundwater, plumbing leaks, household sources such as cooking, and condensation of moisture-laden air on cold surfaces. WAP typically installs ground vapor barriers and can address some drainage problems—for example, by installing gutters and downspouts to divert water away from the foundation. Healthy-homes programs may address severe mold and moisture problems that WAP cannot mitigate. Keep It Well Ventilated. Increasing the fresh-air supply in a home can improve respiratory health. This can be achieved through whole-house ventilation strategies and assessment of existing fans and exhaust. The implementation of ASHRAE 62.2-2010 will further ensure proper home ventilation in WAP and in the home performance industry at large. Keep It Safe. Most injuries to children occur in the home. Falls are the most frequent cause, followed by injuries from objects in the home, such as cuts or scrapes from sharp corners, sharp objects, burns, and poisonings. Prevention strategies include installing grab bars, adequate lighting, and handrails; removing trip hazards; repairing stair treads; and completing minor repairs. Keep It Well Maintained. Poorly maintained homes are at risk for contaminants, moisture, and pest problems. Deteriorated lead-based paint in older housing is the primary cause of lead poisoning, which affects some 240,000 U.S. children per year. WAP professionals frequently see poorly maintained heating systems, with all the associated problems. Client education on the importance of maintenance is the primary strategy for keeping homes safe. Healthy-homes programs following the seven principles exist throughout the nation in a loose confederation. Funded through a variety of federal, state, and local sources, these programs vary widely in scope and focus due to regional needs. Locating a provider of a particular service and navigating the web of nonprofits and other entities providing those services can be challenging. This is where the Weatherization Plus Health initiative steps in. The connection between WAP and healthy homes is clear: WAP already enters hundreds of thousands of low-income homes every year, has a component to address health and safety and a willingness to expand these services, and is a partner with the Community Services Block Grant. This federal antipoverty block grant provides core funding to local agencies to reduce poverty, revitalize low-income communities, and empower low-income families to become self-sufficient. In so doing, it provides a groundwork for leveraging additional resources and funding. Using the principles of healthy homes, Weatherization Plus Health seeks to connect WAP and healthy-homes providers in an effort to ensure that low-income homes are best served with comprehensive services to address their energy efficiency, as well as residents’ health and safety needs. To do so, NASCSP is creating a number of resources and providing extensive training to facilitate ongoing communication and cooperation between the providers of these complementary services. A major goal of the project is to identify existing partnerships and then learn how those partnerships can be expanded to serve every county in the nation. NASCSP will produce reports for each state and territory that detail the existing WAP and healthy-homes infrastructure, highlight successful partnerships, and identify possible pathways to future collaboration. These reports will also show where increased cooperation between agencies and providers could improve the provision of services to needy families. In tandem with the state reports, NASCSP is creating a publicly accessible web site that will map healthy homes and WAP providers nationwide. This interactive application will be available to the general public and will show simply and easily where and how one can get assistance for any particular health, safety, or energy efficiency issue within a specified area. Training and technical assistance are critical components of Weatherization Plus Health. To that end, NASCSP offers training through conferences, webinars, or other means, to facilitate partnerships and to disseminate best practices throughout the network. These best-practice models and resources will be available publicly online and will detail models of collaboration and proven successes. 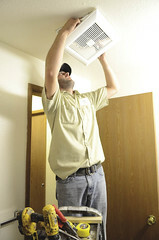 For more information about the NASCSP Weatherization Plus Health initiative, visit www.waptac.org or www.nascsp.org. In 2011, NASCSP and DOE convened six regional conferences to bring together WAP and healthy-homes providers, identify gaps between existing partnerships, and encourage new opportunities for partnerships. Targeted participants were any interested parties who worked in the fields of energy efficiency or health and safety. They included state directors of WAP, state and local WAP staff, state public health officials, state associations and community action partnerships, Community Services Block Grant staff, community action associations, healthy-homes practitioners, local health departments, health professionals, researchers and advocates focusing on energy efficiency or healthy-homes issues, and housing and community development agencies. These conferences were successful and will be followed up with six additional conferences in 2012 that will track and expand upon the work done at the previous conferences and in the intervening months. Weatherization Plus Health promises to deliver important resources to the WAP and healthy-homes networks, and to improve housing nationwide. We know that weatherization works to reduce energy usage for low-income consumers. By combining weatherization and healthy homes, the Weatherization Plus Health initiative will work to reduce energy bills while improving the home environment. This will result in healthier homes, healthier families, and ultimately, a healthier nation. Rebecca Stewart is the project coordinator for energy services at the National Association for State Community Services Programs (NASCSP). Stewart came to NASCSP after working with the National Energy Assistance Directors Association and Energy Programs Consortium for energy issues affecting low-income housing. She is currently a master of public policy candidate at the Georgetown Public Policy Institute at Georgetown University. Discuss this article in the Weatherization group on Home Energy Pros!